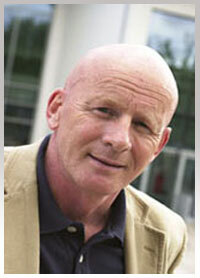 I have just returned from Santiago where I delivered a speech at a major conference on experiential learning. I first went on a fabulous three day journey to Patagonia, with two days kayaking in the crystal clear Lake Santos with a friend. Yak Expeditions organised the tour for us and it was just fabulous…and the guide Yuan Fe was great. 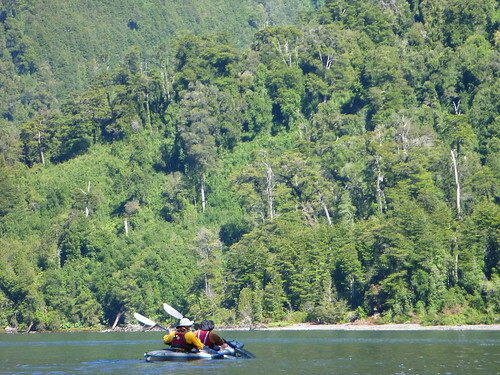 He was patient (with me a novice) and a highly skilled sea kayaker – probably one of the best in Chile. Juan Fe can speak really good English and has a great sense of humour…..The things I packed in my suitcase for this kayaking event (after which I was to deliver a keynote speech at a major international conference on experiential learning) didn’t arrive in Chile however for some days: Air France once again lost my suitcase for four or five days in Paris – as they did in my previous trip to Mumbai!!! Well done Air France!!! So my bivvy tent was in my suitcase, as was my kayak cagoule, and my knife and fluids for my washbag etc…..but in the end it was just a case of ‘making do’, borrowing a few things from my friend Camilo, who came with me and who runs an adventure learning business in Chile, sleeping in a small one man tent with him, head to toe, and so on. But what a place…..more to follow and spectacular photos also…not taken by me as I am sure you can guess where my camera was…..! Juan Fe made sure I had some digital memories too. by the way does anyone know what tavanos are? Phew they are some beasts!………………………..
Solitude: seeking wisdom in extremes, a year alone in the Patagonia wilderness, by Robert Kull.